Trotec Laser Online Magazine: Join Trotec at the NBM Philadelphia Show! Join Trotec at the NBM Philadelphia Show! Join Trotec Laser at the NBM Show in Philadelphia, PA. The NBM Show is the only event that offers you 3 Dimensions of Opportunity by combining visual communications, apparel decorating, and the awards and engraving markets. The NBM Philadelphia Show will be held at the Pennsylvania Convention Center September 4-6, 2014. Trotec Laser will be in booth #401. Stop by to get a personal demonstration and samples from our laser cutting and engraving machines. 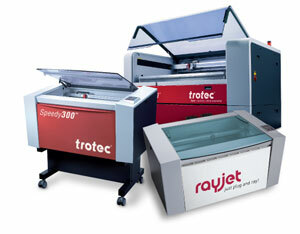 Trotec will be showcasing the Speedy 400 featuring the i-Cut® finishing package! We will also be showing the Speedy 300 flexx, plus others. See the NBM Show page for more information and to register. Registration is free for this event until Sept 3, 2014. On Thursday, September 4 at 11 A.M. Trotec is presenting a free in-depth class at The NBM Show Philly entitled "Lasers: Learn, Leverage, Lead - Plus Deep Dive with Acrylic Cutting". Learn tips and tricks to get the most out of your laser, including a deeper understanding of the fundamentals that will help make your profits soar. Stop by booth #401 to take advantage of amazing show specials... Discounts so good that they're only available at the show!